Below are the current availabilities for the Solve team. 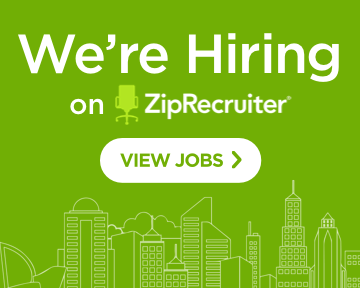 To apply, please visit our ZipRecruiter page. Need experienced Business Intelligence developer/architect with deep understanding, ingenuity and desire to make an impact on projects. You value raising the bar, contributing, and team success. You continue to grow your skills. You are good at mentoring, training and sharing your skills. You like a little travel now and then, but don’t need to be a road-warrior. You are comfortable in a fast changing work environment where you are learning technical skills and being exposed to many industries. Bachelor’s degree required (Computer Science, Business, Engineering) or experience in a related field. If you’re convinced you’re the right person for the job, send us your resume and convince us. While we are not a good fit for some, others thrive here on the Solve team. Want to explore more? Let’s talk. Solve is not just another IT consulting company. We are small enough to be nimble, yet we have depth and expertise. We work hard; we have fun. We value creativity, teamwork, and the attitude to serve our clients really well. We take on tough challenges in custom application development and business intelligence, and we develop excellent solutions. We improve our clients’ business results. You value raising the bar, contributing, and team success. You continue to grow your skills. You are good at mentoring, training and sharing your skills. You like travel now and then, but don’t need to be a road-warrior. You are comfortable in a fast changing work environment where you are learning technical skills and being exposed to many industries.